08 Sep 2017 --- Indena has reported that its Mirtoselect bilberry extract may have an important role in “preserving adequate aqueous levels” in people possibly experiencing dry eye conditions. This is according to a new randomized, double-blind, placebo-controlled clinical study published in the European Review for Medical and Pharmacological Sciences. 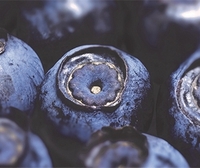 The aim of the study was to investigate the ability of bilberry extract to maintain adequate tear levels and to confirm its antioxidant potential, Indena notes in its press release. A total of 21 healthy subjects experiencing dry eye were enrolled and randomly assigned to receive supplementation with Mirtoselect, the Indena proprietary standardized bilberry extract that is said to contain 36 percent anthocyanins. The supplementation was with two tablets corresponding to 160mg daily or placebo for four weeks. The results of Schimer’s test – indicating the volume of tear secretion – before and after the four-week period showed significant improvements in the mean values for the right eye and both eyes as well as a beneficial tendency for the left eye in the supplemented group, Indena reports. In the placebo group, the mean values of Schimer’s test at the end of the treatment were not significant. The study by Riva A. et al., “The effect of a natural, standardized bilberry extract (Mirtoselect) in dry eye: a randomized, double blinded, placebo controlled trial,” can be found in the European Review for Medical and Pharmacological Sciences. Indena is the world's leading company in the identification, development and production of active principles derived from plants, for use in the pharmaceutical, health-food and personal care industries. Indena, a privately owned Italian company, has around 800 employees (10% of them dedicated to full-time research) and has cultivation, manufacturing, and sales in more than 70 countries throughout the world. The key to Indena's success is its research, covering: the screening of medicinal plants for pharmacological benefits; the identification of new active principles; the development of cutting-edge extraction and purification systems for industrial applications. Phyto-chemical research is carried out in Indena's own Research Center in Settala, Italy. Indena also co-operates with the world's most prestige universities and private research institutes in the biological assessment of the safety and effectiveness of its products up to clinical phase I/II. A key strategic research objective is the development of new active principles for pharmaceutical applications. This also forms an indispensable base for the health-food and personal care industries. The pharmaceutical side of the company is focused mainly on anti-cancer drugs, which are produced to US-FDA, ICH and EU standards at Indena's High Containment Manufacturing facilities in Settala, Italy. Indena's drug discovery strategy is to develop new chemical entities up to "Phase I/II" of clinical studies, and then license them to pharmaceutical companies. Today Indena is also concentrating its efforts on the industrial production of high-quality standardised botanical derivatives, which are important ingredients in health food products. In fact, the company produces standardised extracts from edible plants that are traditionally recognised as having therapeutic properties, as well as from plants that have proven pharmacological value. Indena's research and production activities are particularly attentive to plant-based principles that have anti-oxidant properties and prevent damage caused by free radicals. Backed by more than 90 years of botanical experience, Indena has developed a plantation network, managed by experts, to supply its research and production centres with officinal plants, while ensuring bio-diversity and protecting the ecosystem from uncontrolled harvesting. Today more than 60% of the raw material used in manufacturing comes from cultivations. Indena's decades-long global presence in the plant extraction industry is a guarantee of its in-depth knowledge and understanding of the business, market trends and legal considerations. There is constant communication and interaction between the company's experts, who cooperate on the updating of all the main pharmacopoeias, and the major international regulatory authorities such as WHO, EMA, and ESCOP. The company has more than 150 primary patents and has published more than 700 scientific studies.